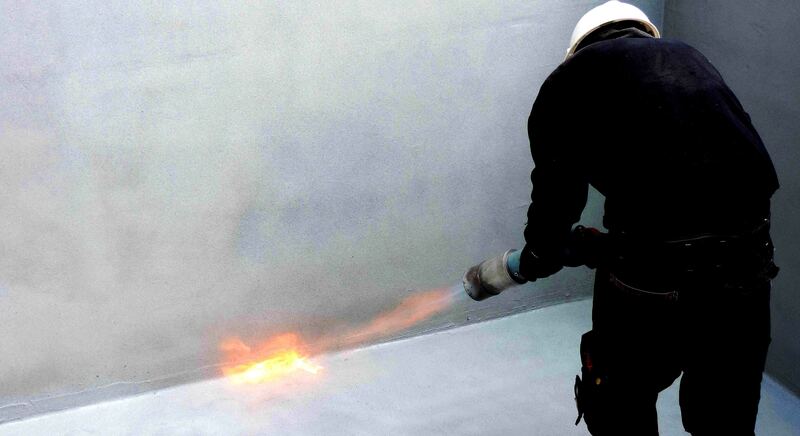 The Flame Spray Technology is the only system which can apply powders on site and with no need for a coating line (oven, spray booth or fluidised bed equipment). What is Thermoplastic Polymer Flame Spraying? The deposition of semi-molten polymer particles onto heated surface whereby process heat causes the particles to flow and coalesce into a complete cohesive polymer coating. The application procedure may vary depending on the kind of substrate which needs to be coated. Please, refer to our folder New FAQ document about Tecno Supply Flame Spray Coating Technology for all details on the Flame Spray application procedure. Thermoplastic coating powders can be applied by Flame Spraying because they only need to melt and they do not need to cross-link. Barrier to vapours, liquids and chemicals (excellent chemical resistance). Electrical insulation - very high dielectric strength which provides anticorrosion. Performance unchanged from -70°C to +70°C or +100°C (depending on the polymer used). Mechanical impact resistance (very resilient coatings, soft enough to absorb shocks and impact with no chipping). No VOCs, no plasticisers, no isocyanates, no TIGCs etc. Loss of adhesion (to ASTM D3359A): zero. The Flame Spray Technology can be applied in several industrial fields. See the following sheets to find out more about our machines and their potential applications.